It’s no big secret that America’s healthcare system leaves a lot to be desired, and a lot of these problems have to do with health insurance. It’s no big secret that America’s healthcare system leaves a lot to be desired, and a lot of these problems have to do with health insurance. Despite the marginal improvements brought about by the Affordable Care Act, practically every form of treatment costs more in the U.S. in comparison to other industrialized countries. If somebody is prescribed Nexium, a heartburn medication, and buys it in the U.S. it costs about $215. The same medication in the Netherlands is $23. It’s common for the governments in other countries to negotiate the costs for medications and treatments. In the U.S., those responsibilities are left up to hospitals and insurance companies, which are prone to losing that fight. Consequently, the companies then increase costs to consumers to continue making a profit. Insurance companies have entrenched themselves as middle men that supposedly simplify patient care and decrease consumer costs, yet the opposite is commonly true. Traditional health insurance companies have dictated what medical treatments many patients can financially afford for decades, which in turn gave these organizations nearly unchecked power in the vertical. The Affordable Care Act limited some of the power insurance companies have over customers by eliminating certain forms of discrimination and forcing insurance companies to spend 80 percent of revenue on customer treatment, but they still wield an impressive amount of authority; however, Accountable Care Organizations are slowly shaking up the status quo by offering employers a system that promotes preventative healthcare and healthy lifestyles. There are roughly 20 million Americans currently receiving healthcare through Accountable Care Organizations (ACOs), which are groups that create a collection of physicians and hospitals that work together and consent to some of the financial risk of providing care to a particular patient population. The goal is to bridge the distance insurance companies cause between healthcare providers and patients by equating financial success with patient health. Where insurance companies encourage physicians and hospitals to administer unnecessary tests and treatments to get paid, ACOs are financially compensated for keeping patients healthy and costs low. Subjectively, that different approach alone makes ACOs a much better healthcare system for patients than dealing with middle-men insurance companies. Consequently, this model has attracted Boeing’s attention and this month the world’s biggest aerospace company is giving roughly 30,000 of its employees and retirees in the Seattle area the option to change their health care to one of two new ACOs, University of Washington Medicine Accountable Care Network or Providence-Swedish Health Alliance. This collaboration is among the first in the country, and with a powerful company like Boeing leading the charge, the consequences of this agreement will be play a huge role in the future of ACOs. Boeing’s choice is by all means an experiment. ACOs are not known to take on massive patient populations like Boeing has, and they’re still a bit too new to truly know the long-term benefits and drawbacks. But if this partnership is successful, meaning Boeing resigns and its employees under the ACO plan are healthy and happy with the coverage, it will be a massive win for ACOs. If the bigger ACO groups can figure out how to expand, then maybe the American public, who are mostly subjected to insurance companies, may benefit in general. This generalized benefit is because ACOs operate directly around making the patient’s health the front focus, and emphasize preventative healthcare instead of reactionary treatment. There are a few different payment models ACOs use, but Boeing has established a deal in which it paid UW Medicine and Providence-Swedish a base amount that is calculated to cover all of the healthcare expenses Boeing’s Seattle employees might need for that year. If that pool runs dry, the doctors and hospitals are required to pick up the tab. This encourages physicians to keep track of patients and ensure they’re healthy, up-to-date on vaccines, and living healthy lifestyles to stay out of the emergency room. After all, healthy people cost less money to maintain than sick ones. To discourage doctors from under-treating patients in order to keep costs low, bonuses are only given out if the physicians meet pre-established quality goals. The challenge of widespread adoption of ACOs is scaling it to a national level. According to the Seattle Times, most of these offerings are happening through employers, and getting this model of healthcare open to the average member of the public will be tricky because of the required infrastructure and startup costs, which average about $2 million the first year. One of the challenges with ACOs is the amount of patient overhaul required, but thanks to the federally mandated transition into electronic health records having access to a patient’s medical history will be a button click away. Couple this with improved patient monitoring via mobile healthcare products like exercise trackers, and a patient-first philosophy, ACOs are well on their way to reshaping the healthcare game. However, despite these risks, Boeing is saying that ACOs are seemingly offering cheaper solutions and improving the level of personal treatment that employees receive. Consequently, if things go well in this initial round, Boeing says it intends to expand the ACO option to employees in other parts of the country. Let’s hope this happens. The American healthcare system needs improving, and with a patient-first approach, maybe ACOs are that improvement. 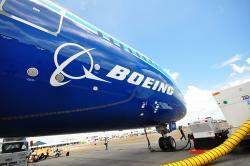 If Boeing leads the way, surely other companies will follow suit.